Ship Sticks, a fast-growing golf bag shipping company, announced a partnership with Reunion, a Salamander Golf & Spa Resort in Orlando, Fla., to provide golf bag shipping services to resort guests. "Reunion Resort is a popular destination for group travel and receives golf bag shipments from around the country," said Nicholas Coleman, CEO of Ship Sticks. "Through our unmatched service and technology, we will streamline the shipping process for both resort guests and staff to uphold Reunion's high level of customer service." Ship Sticks' customized, easy-to-use, micro-site will enable Reunion Resort guests to arrange golf club shipments to and from the facility affordably and risk-free. The company has seamlessly integrated its technology into the Reunion website and tracks all shipments for resort guests. Ship Sticks alleviates the hassle of the shipping process for resort staff and guests, and ensures that both parties are informed about the status of the shipment from pick-up through delivery. "About a quarter of our business has been golf groups, many of them traveling to Reunion and shipping their clubs," said Kevin Baker, director of golf. "It was always hard to track the clubs for a group because we'd have multiple tracking numbers and even different shipping companies, but Ship Sticks simplifies the process, making it easy and convenient for our guests as well as our employees." 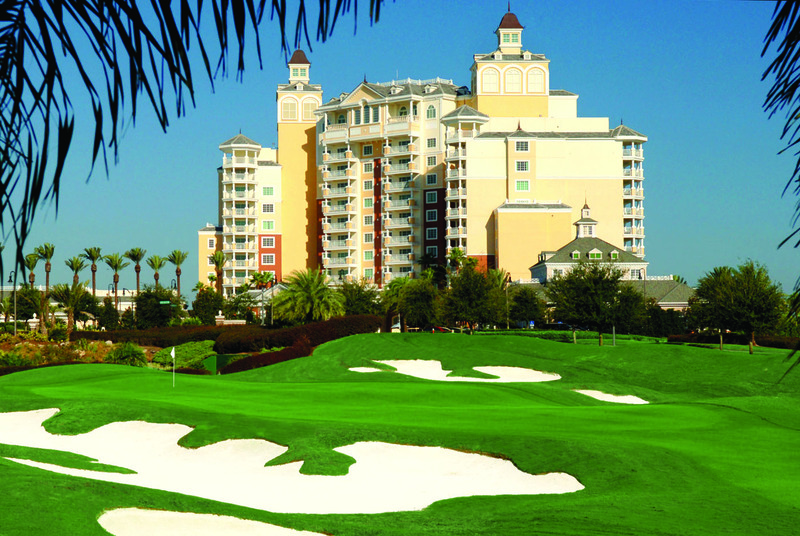 For more information about Reunion Resort, please visit www.reunionresort.com. For more information about Ship Sticks, or to plan a shipment, please visit https://www.shipsticks.com/. Managed by Salamander Hotels & Resorts, the AAA Four Diamond-rated Reunion Resort is located in Orlando, Florida. The central point of Salamander's innovative collection of Florida golf resorts - which also features Innisbrook Resort in Tampa Bay and Hammock Beach Resort in Palm Coast - Reunion Resort is the only location in the world with golf courses designed by the golf greats Arnold Palmer, Jack Nicklaus and Tom Watson and also features the exclusive ANNIKA Academy by Annika Sörenstam. Reunion Resort features 330 resort accommodations including luxury condominiums, private villas and vacation homes surrounded by 2,300 acres of lush landscape and nature preserve, elegantly appointed meeting space, a full-service boutique spa, multiple pools, slides, water playgrounds and a 1,000-foot lazy river. 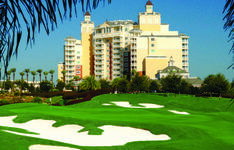 For additional information call 407-662-1000 or visit www.reunionresort.com. Founded in 2011, Ship Sticks LLC provides customers with safe, secure, reliable and cost-efficient solutions for seamless pickup and delivery of golf clubs. Based in West Palm Beach, Florida, Ship Sticks' mission is to provide value-added services to the golf industry, creating a win/win environment for all who participate. It is their intention to make golf travel easier and more affordable, thus increasing the number of participants and rounds played annually. Ship Sticks is a white glove, golf bag shipping company that provides door-to-door services for shipping golf clubs. Avoid long lines and extra baggage fees at airports by sending luggage ahead of time. Ship Sticks makes traveling more enjoyable and easier by allowing you to ship golf clubs to your final destination with its easy-to-use website. Ship Sticks is a safe, secure, reliable and cost-efficient solution for seamless pickup and delivery of golf clubs. The company's up-to-date database of more than 15,000 golf facilities nationwide makes creating shipments on behalf of members and guests easy. For more information, please visit www.shipsticks.com.